I wasn’t at all happy about that alligator blocking the trail. 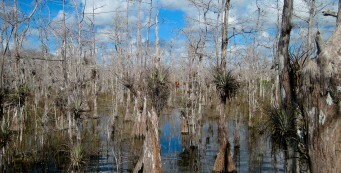 Swamp to the left of us, swamp to the right. There was no other way to get back to the trailhead. And you absolutely don’t want to get within twenty feet of an alligator. We tried banging our hiking sticks on the ground, which usually works. It hissed. We yelled and stomped our feet. We tossed some sticks towards it. Finally, it hissed again and plopped into the water, and we walked by quickly. I called 866-FWC-GATOR to inform Florida Fish & Wildlife that this rather large alligator wasn’t afraid of humans. And that was the problem. Normally, alligators won’t sit there and hiss. They’re scared of us. We’re much taller. We look threatening. They quickly slip into the water when they hear you approach, just like most snakes will get out of your way before you even see them. But if someone feeds an alligator, its walnut-sized brain associates humans with food, and it can’t tell a foot from a hamburger bun. Game over. 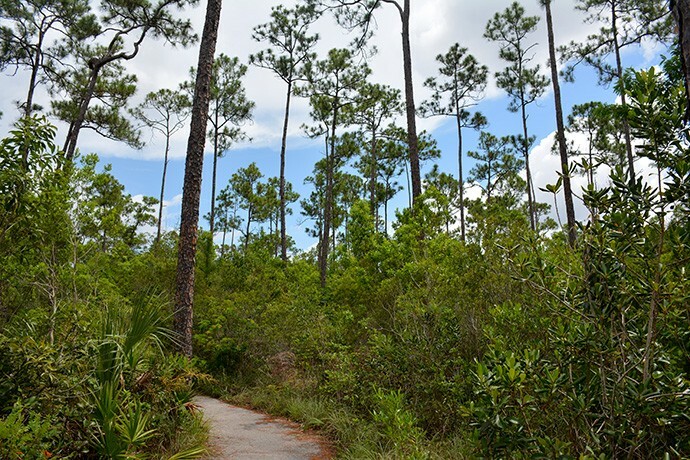 Hiking in Florida is different than hiking anywhere else in the United States. Where else can you hike where it never snows? Okay, it might flurry in the dead of winter, but it doesn’t stick. Our hiking season is flip-flopped from the rest of the country, with prime time being October through April and the best backpacking being January-February. Except in an El Niño year, our winters tend to be sunny, dry, and cool. When El Niño hits, it’s overcast and outrageously, miserably, wet. Otherwise, expect clear skies and sunshine. 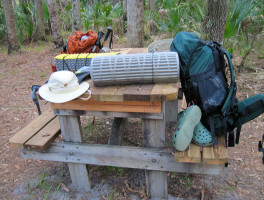 The first freeze – and yes, it freezes in Florida, so pack that 20-degree sleeping bag – usually happens in late November and knocks out most of the insect population. If we’re lucky, the mosquitoes, ticks, and chiggers don’t return until April. But it all depends on the weather. Water defines our state. 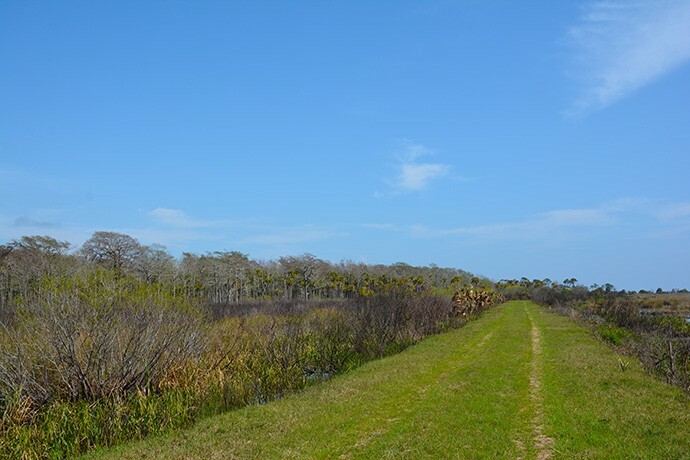 We have over 12,000 miles of rivers (which means lots of great paddling) more than 600 named springs (and thousands more than are not), and one of America’s largest lakes, Lake Okeechobee. 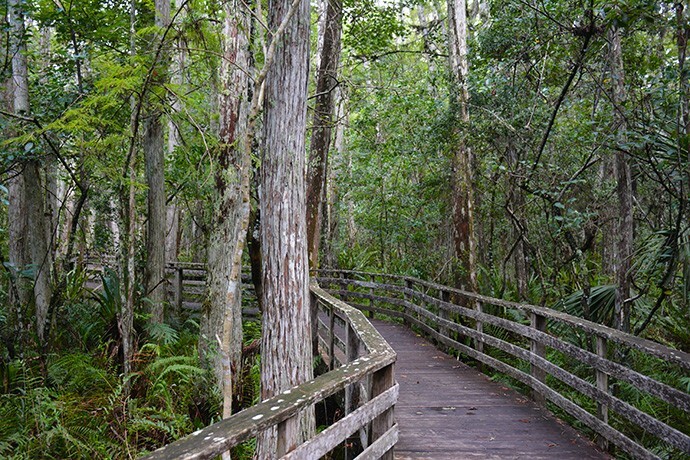 Although you can choose to walk on easy nature trails, follow paved bike paths, and explore our many boardwalk trails, if you truly want to get into Florida’s wild places, expect to get your feet wet now and again. 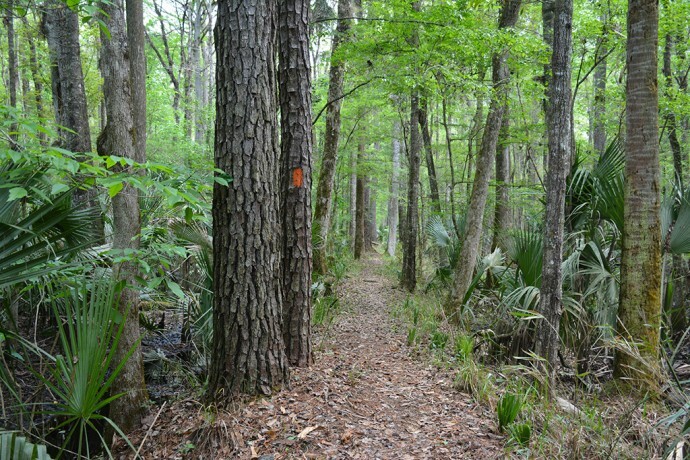 Especially along the Florida Trail, our statewide National Scenic Trail, one of only eleven National Scenic Trails in America. 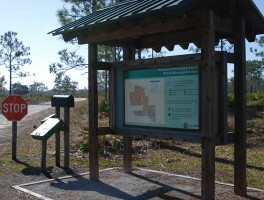 Why Hike in Florida?- Why hike in Florida? It's not about the challenge of mountains, but the incredible natural diversity in habitats and flora found across the sweep of our state. 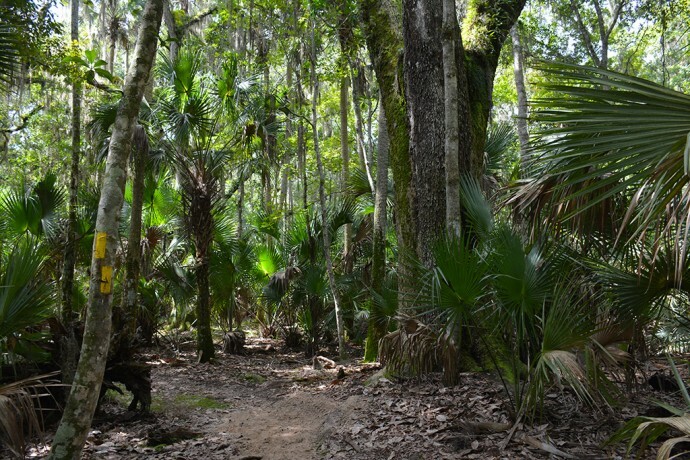 We have an amazing diversity of habitats in Florida, more than 80 distinct ecosystems, despite having only a few hundred feet of elevation change statewide. Yes, we have the lowest high point in the USA. 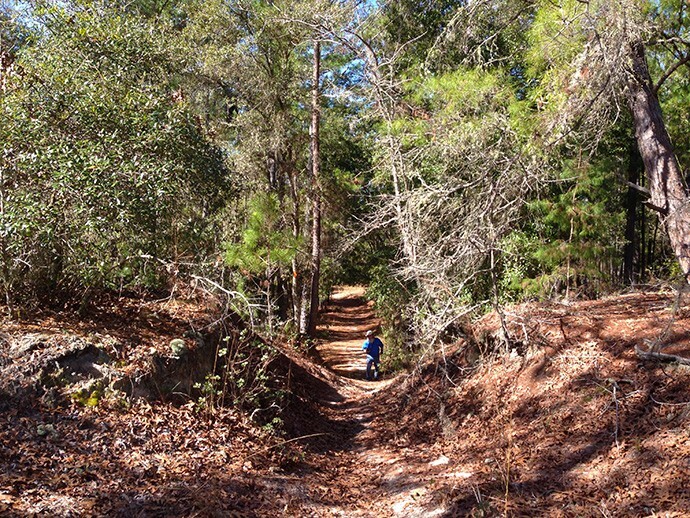 But that doesn’t mean our trails are boring. Far from it. 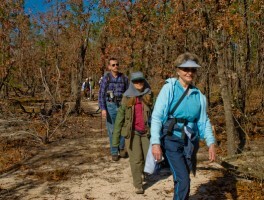 Some trails showcase a dozen or more ecosystems in a mile or two. 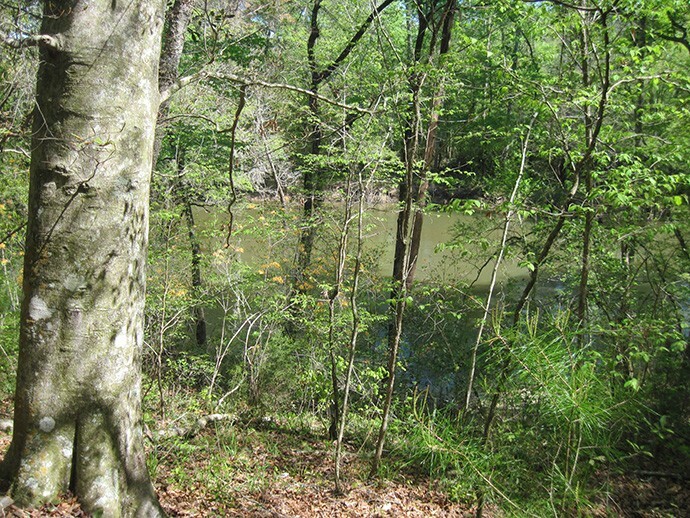 A few inches of elevation change is all it takes to change the habitat around you. 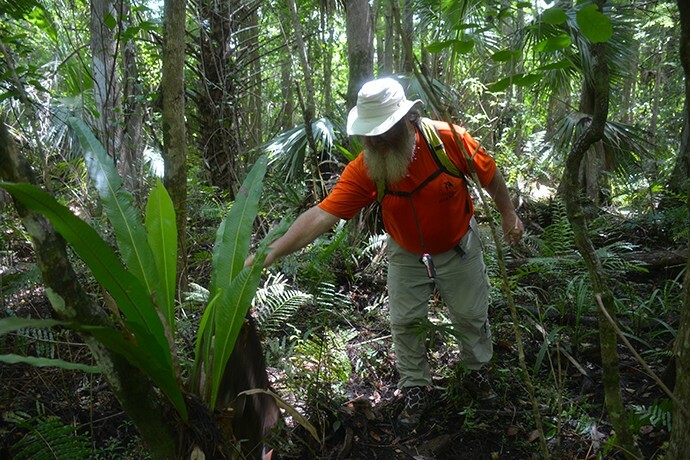 In the Florida Keys, we have dense tropical forests of Caribbean plants, some of them poisonous. 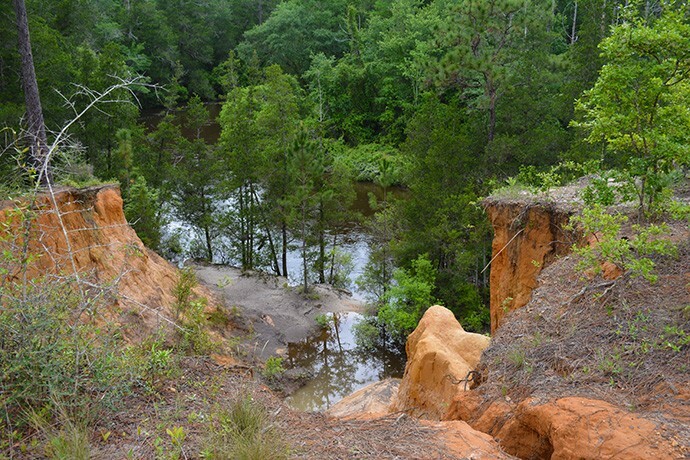 In Northwest Florida – the Florida Panhandle – you’ll find ancient cypress trees not far from Appalachian-style bluffs and ravines with mountain laurel. 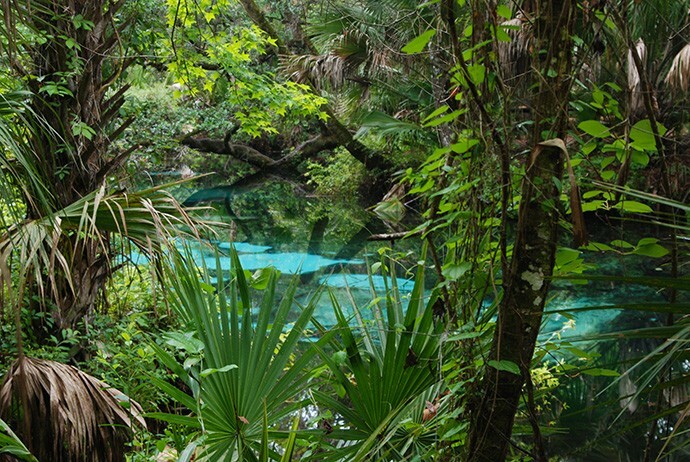 Florida’s Habitats- Florida is a haven of biodiversity, with 81 distinct biological communities. 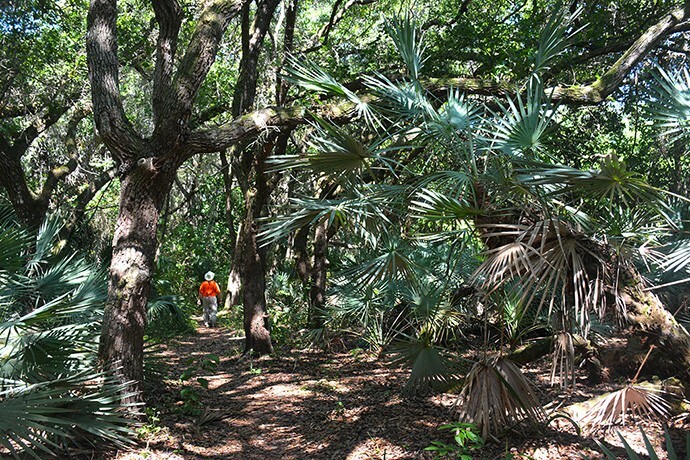 It's one of the best reasons to hike in Florida: an ever-changing landscape. 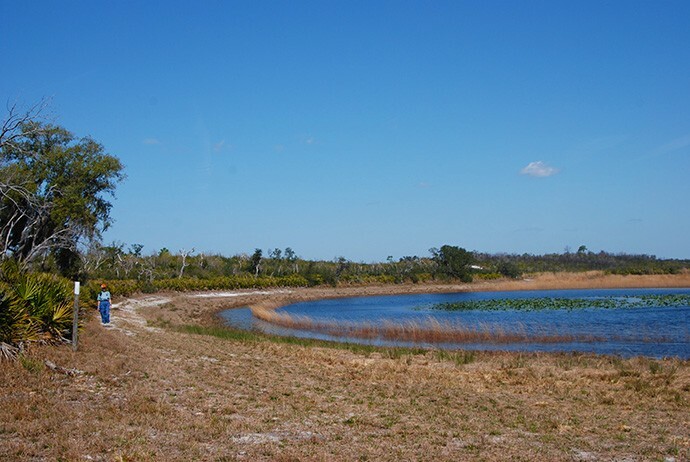 Some of Florida’s habitats are perennially wet. 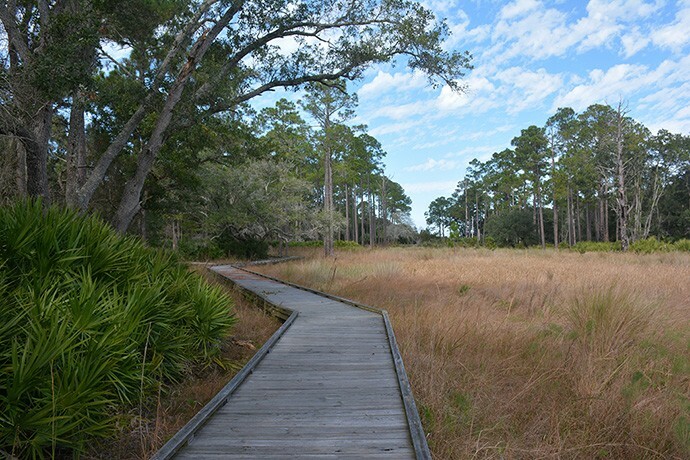 Like floodplain forests and bayheads, mud flats, and coastal estuaries. 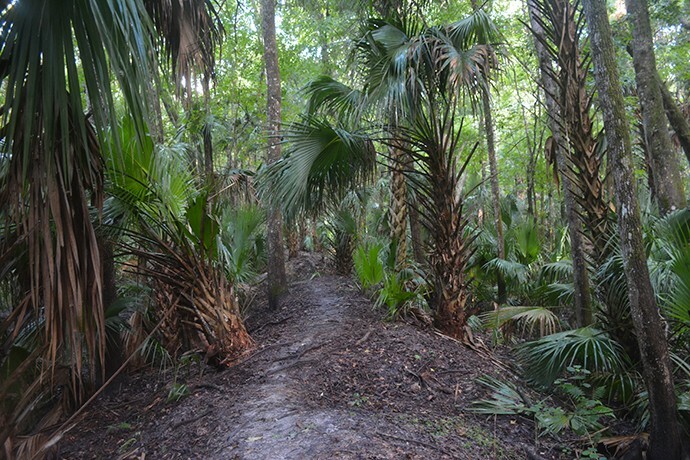 Others, like prairies, pine flatwoods, and hydric hammocks, retain water for a while after a rain, as it slowly percolates back into the ground. 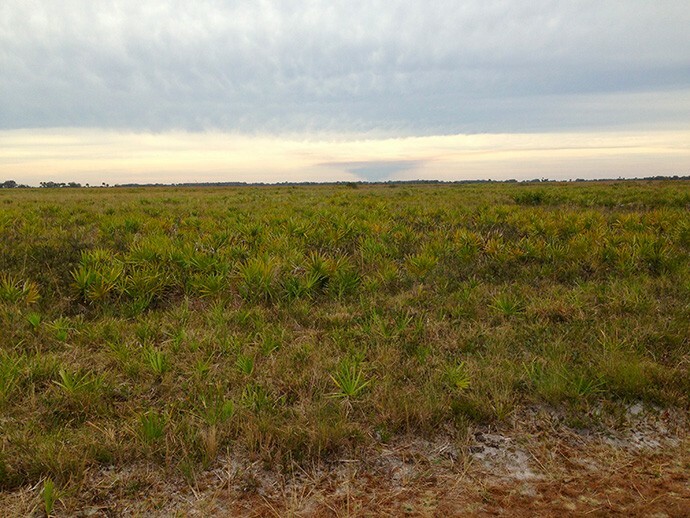 Some habitats are perennially dry, like scrub. 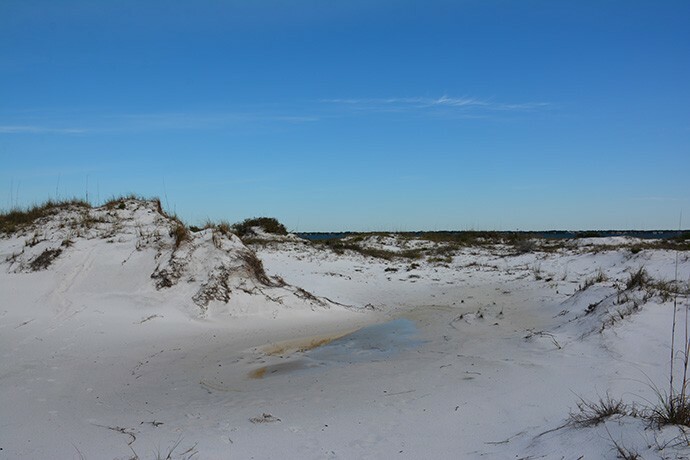 It’s Florida’s desert, based on the blinding white sands of ancient oceanfront dunes, now found in the middle of the state. Yet some scrub forests shelter prairie ponds in their swales, attracting wildlife. 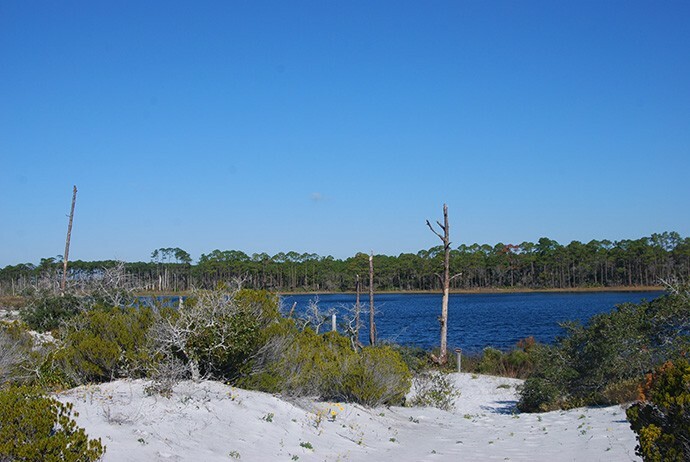 We’ve assembled a lot of resources on this website to introduce you to the uniqueness of Florida’s outdoors. 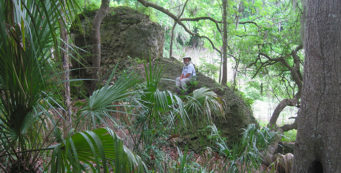 It doesn’t matter whether you’re on your first day hike or are a seasoned backpacker: if you haven’t spent time hiking in Florida, please take the time to read the articles on this page. And then dig around through our website to plan your next Florida adventure! Get ready to play outdoors in Florida. How to layer for Florida- Folks who don't live in Florida assume that we're warm and sunny all the time. Not so. Winter days can be cold and damp. Your best defense: pile on those layers! Things you need to know before hitting the trail. 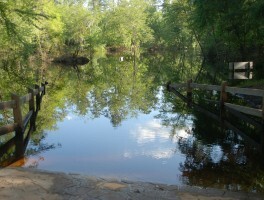 Flood gauges for Northwest Florida- When North Florida and the Florida Panhandle experience severe flooding along major rivers and their tributaries, add in icy temperatures and it's a recipe for hypothermia. 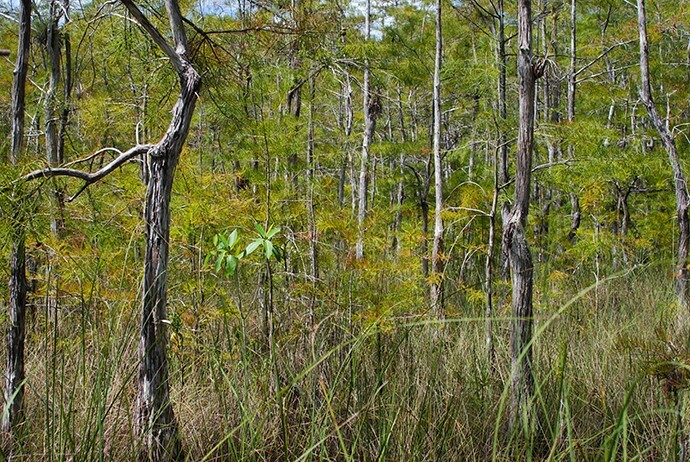 Florida’s Toxic Trees- Southeast Florida is home to two poisonous trees, the poisonwood and the manchineel. Learn how to recognize them so you don't get too close, and find out how truly dangerous they are. 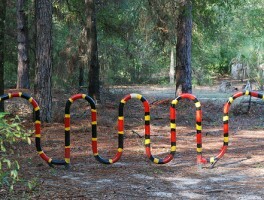 Florida’s Venomous Snakes- Florida has four types (six species) of venomous snakes. Here's where to find information to identify them when you're outdoors. 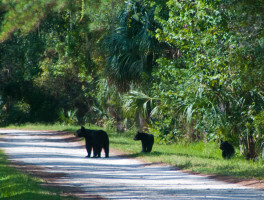 How to be safe around bears- Tips from Florida Fish & Wildlife on how best to manage encounters with Florida black bears, which are becoming more common in certain parts of Florida. 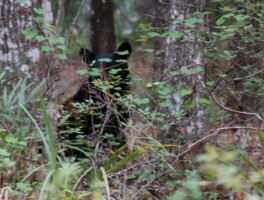 How to deal with feral hogs- One of the more fearless creatures you'll encounter in Florida's wilds is the wild hog. 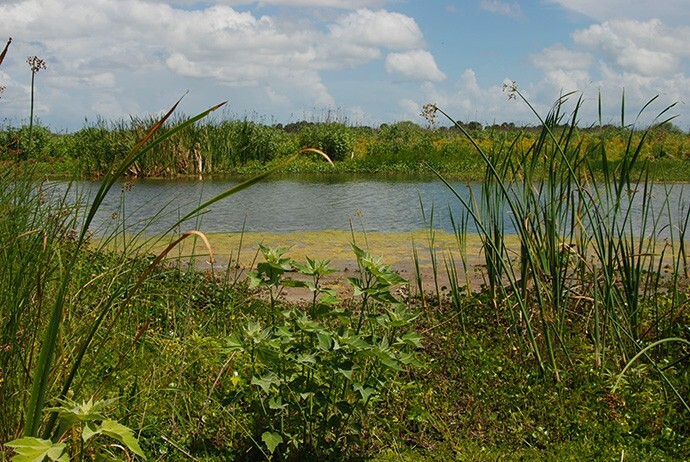 Here is advice from Florida Fish & Wildlife on how to cope with hogs. 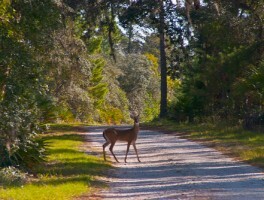 Safety during deer hunting season- Fall is a fabulous time for hiking in Florida, but you need to be aware that you may be sharing the trails with hunters, too. Here's how to find out where, and where you can go where hunting is not permitted. 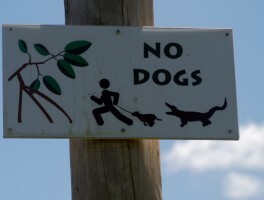 Where not to take a dog for a hike- Taking dogs into Florida's swampy areas is a bad idea. Alligators look for easy prey, and a dog of any size can fall victim. Be especially cautious around shorelines. 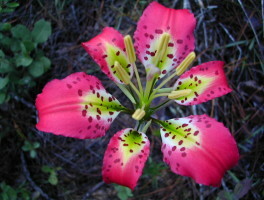 How to identify Florida wildflowers- Florida's wildflowers give a compelling reason to get outdoors. Different habitats see peak blooms at different times of year, meaning you have opportunities everywhere to see something in bloom. 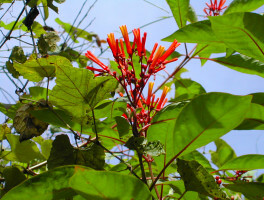 How to identify plants and trees- The flora found along Florida's trails is unlike anything you'll find elsewhere in the United States, and that's just the native species. 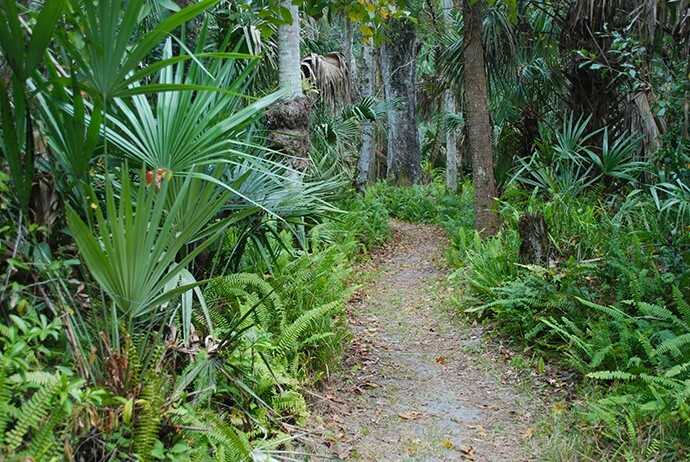 Our botanical diversity is one of the best reasons to explore Florida's trails. 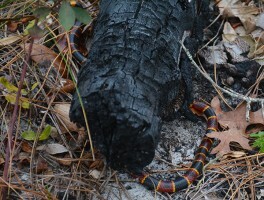 How to Identify a Coral Snake- Coral snake or king snake? Their coloration is similar so it's tough to tell, but remember the rhyme, "red touch yellow, kill a fellow." Don't pick snakes up! 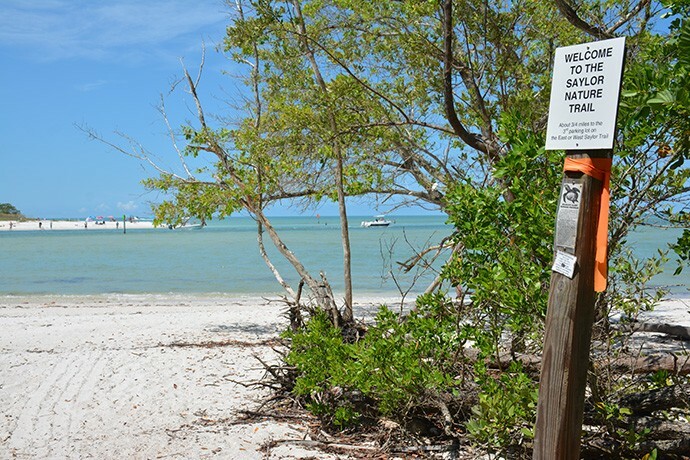 How to identify wildlife in Florida- Florida boasts a great diversity of wildlife, with some top of the food chain creatures that'll have your heart racing during an encounter, to some of the most spectacular bird species in the world. 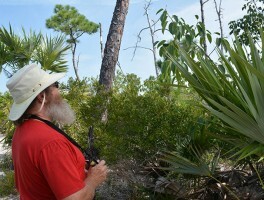 Things that bite: Mosquitoes- Mosquitoes make summer hiking a challenge in Florida. Here's why they're a problem and what you can do to fight back. Things That Bite: Spiders- Florida has four species of venomous spiders, including the red widow spider, which is only found in our state. Things That Bite: Ticks and Chiggers- Since they crawl on your skin and attach themselves to you to feed, ticks and chiggers are especially creepy. Unlike mosquitoes, you can't just swat them away. Here's the difference between them. 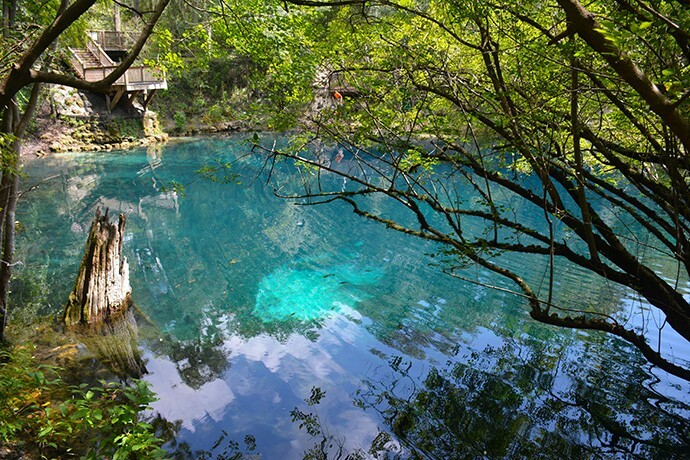 Some of our favorite places in Florida. This is not an all-inclusive list, but it’s a good start for exploring the state. 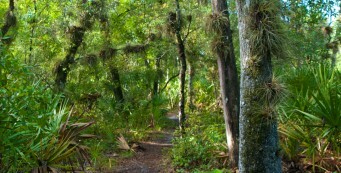 Looking for the best scenic trails? Check this page. 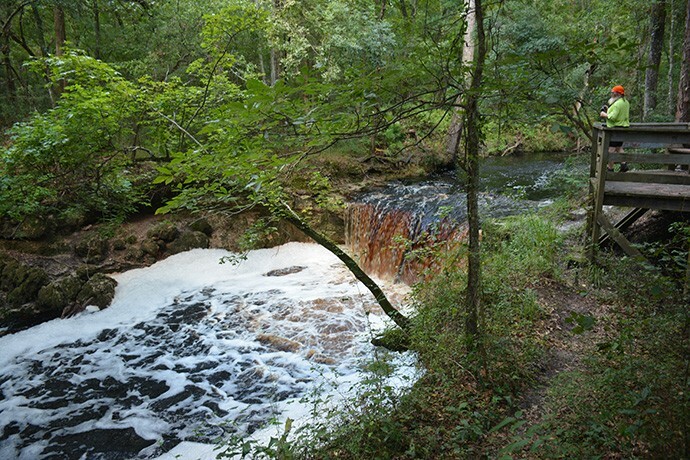 Dig deeper into our website by topic and find out more about what’s special in our outdoors. Or search by location on our interactive map. 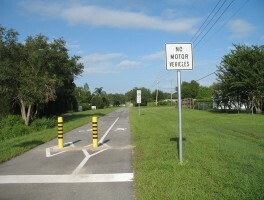 We’re Florida authors, and we appreciate the work of our fellow authors, too. We have most of these in our personal library at home. 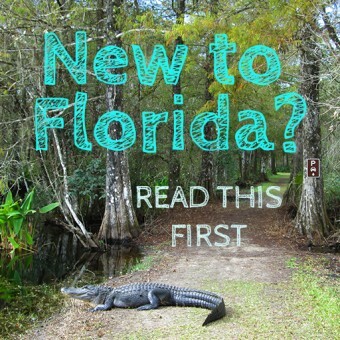 Learn more about Florida by reading these books.